Less functions but more ease of use in a quality jacket. 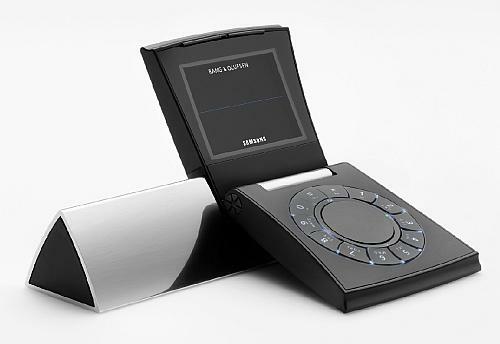 Serene, a new mobile phone which has come about by a cooperation between electronics giant Samsung and the Scandinavian frightened & Olufsen, must unite these quality’s in its clamshell' design, according to the cooperation. Where some modern gadget fight for as much as possible incorporates of (complex) many functions and features, which partly seldom or never are used by the consumer to become, if they are already discovered after searching through the several menus and instructions for use, serene will break with this tradition. The body of the serene exists out of two equal parts which are kept together with a tightly formed articulation or aluminium. The display and the microphone are placed in the bottom shell or the telephone. The circular keyboard and the boxes are in the upper shell with in the middle a wheel. The user controls this wheel with his thumb to use all basic functions. To limit the number of functions on the mobile phone, diminishes the number of menus. Serene will be delivered standard with a triangular docking station. The advice price is about $ 1200. Creative has certainly put a lot of work into the design, both hardware and software, of the Zen Vision. The Zen Vision is an exceptionally well-crafted player. You want to game on your cell phone, but not with the numberpad as controls? There is now the new Aving game pad. It's small and easy to carry around. A directional keypad is on its left wing and the four action buttions are on the right. It communicates with your phone using Bluetooth. 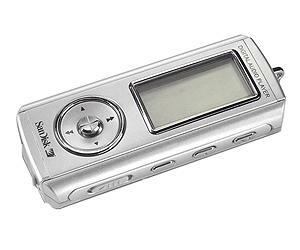 SanDisk today introduced the SanDisk Sansa(TM) m200 series of MP3 music players that use embedded flash memory to store many hours of digital music. The new players support Microsoft(R) Windows Media(R) Player 10 and feature PlaysForSure support for portable music downloads and subscription services such as Rhapsody To Go(R), Napster To Go(TM) and Yahoo! Music Unlimited. "SanDisk's new m200 series of flash-based players represent a major advancement for the portable music subscription model," said Robert Acker, vice president of music services for RealNetworks. "Using Rhapsody To Go with these new players gives consumers the market's best music experience, combining superior playback performance with Rhapsody's extensive playlists, samplers and editorial recommendations." 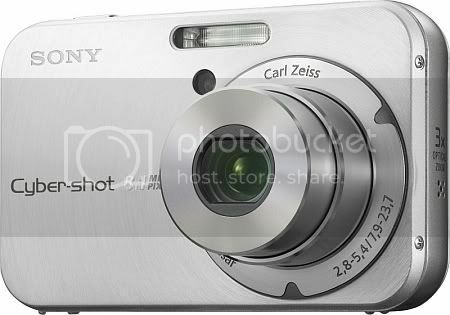 Sony adds more enjoyment and value to your digital photography with its new full-featured compact digital camera with built-in photo sharing functions that goes beyond just picture taking. 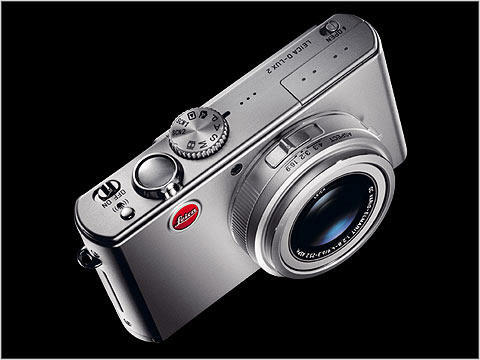 This digital camera has a high-quality lens with 4x optical zoom. The large 2.5-inch display with 207,000 pixels renders a brilliant image for sure evaluation of your composition and reproduction. The Leica camera, with its optics, its image stabilizer and 8.4 megapixels, meets the highest standards of the renowned Leica brands. 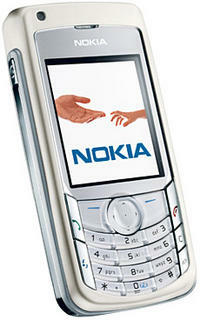 Ben Patterson has reviewed the Nokia 6682. With the EDGE-enabled Nokia 6682, the folks in Finland have unleashed one of their most stylish and powerful smart phones to date, he says. Motorola CEO Ed Zander claims that Apple will build its own cell phone. After his presentation Thursday at Technology Review's Emerging Technologies Conference at the Massachusetts Institute of Technology, CNET News.com asked Zander whether there's a rift between the companies. In particular, is he happy with the partnership that produced the Rokr? And did Apple upstage the Rokr by introducing the Nano at the same press conference? Zander said his comments about the Nano were "taken completely out of context. We have a great relationship with Apple. I've known Steve Jobs for 15 years. Sure, there is some tension there. We have the Rokr, and they have the Nano. They are a competitor as well as a partner." He also added fuel to persistent speculation about Apple's interest in producing its own phone. "And we know that they are going to build a smart phone--it's only a matter of time." 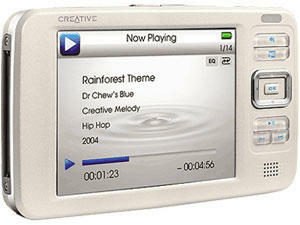 The multi-codec PMP allows users to watch movies, enjoy DMB TV content, and listen to music on the go. Samsung's YM-PD1 supports a 30GB HDD for multimedia file playback, including movie and music files. 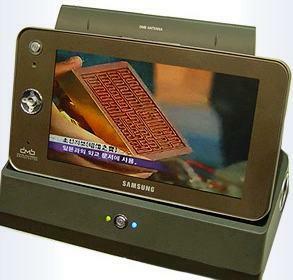 The terrestrial DMB TV function allows easy television viewing on a 4" wide TFT-LCD screen. The clear and detailed image is enhanced by Samsung's proprietary sound technology, the Digital Natural Sound engine (DNSe™), for ultimate audio-visual quality. The YM-PD1 will enhance the urban lifestyle of active businesspeople and students who enjoy portable multimedia entertainment. The device supports indoor entertainment as well as outdoor, with a TV-out option to merge DMB TV and multimedia file payback with home networking.